The two companies have decided to take their eco-responsible approach even further and launch a totally “ecological” range which satisfies three criteria: 1) using premium stretch yarns by Asahi Kasei from the EcoSmart family, ROICA™ Cradle to Cradle Certified™ Gold Level; 2) fabric compositions featuring recycled polyamide and/or polyester; 3) environmentally-sound production, using the “Eco Wash” process, developed by PTS for several years to considerably reduce the use of chemical substances. 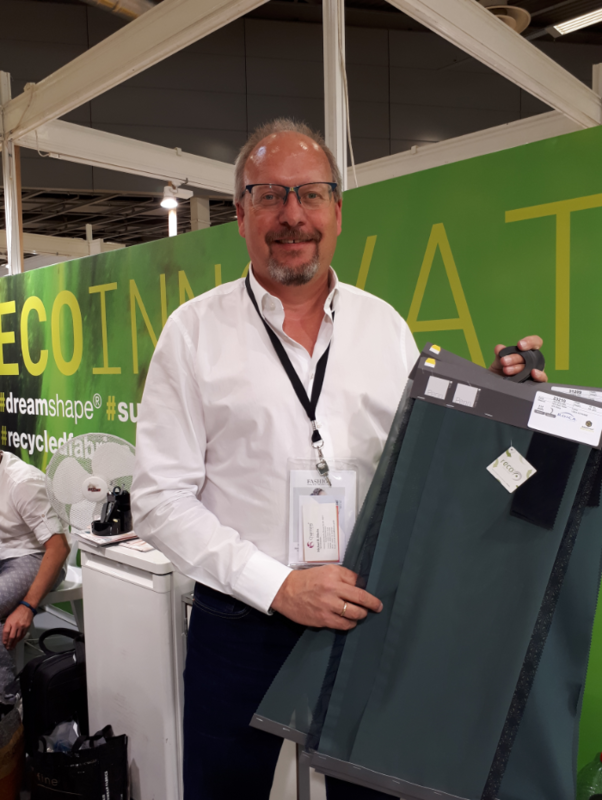 Included within the Dreamshape family, the EcoInnovation range features seven different articles with reinforced edges, knitted on Raschel machines: tulle, tulle trim, blocked tricot, stretch satin, polyester tulle, polyester double jersey, etc. You wish to request an appointment with the brand « Penn Textile Solutions and Penn Italia present EcoInnovation ».